Bill Clark (William L Clark, 1944-52) writes: "I was in School House , and then left to go to UCL to study Engineering . I was VERY interested to learn about the Web Site , and look forward to learning from it ." He adds that he has passed on the details of the website to his brother Robert. Bill also promises to send in a couple of photos for the Gallery - we look forward to receiving them, and thanks for getting in touch! Bill's e-mail address is in the list if any of his contemporaries are reading this. News from Cliff Turner, an Old Briggensian living in New Zealand. Cliff Turner, who was staying with his brother John Turner in Scawby Brook near Brigg during May 2003, met up with Ken Proctor (Chairman of the Association). Cliff informs us that the Old Briggensian's network is active in New Zealand as he recently met up with Bob Walker (R.G. Walker) in Hamilton, where they both live. Cliff's daughter discovered that Bob was in Hamilton via the Internet and from there it was easy to trace him in the telephone book. Bob attended Brigg Grammar School from 1932 to 1936, and Cliff just missed him as he started the term after Bob left. They have enjoyed a couple of meetings since the preliminary one to talk about the old school. The Chairman was able to give Cliff details of yet another Old Briggensian in Whatatane, New Zealand who is Frank William Gant who attended the BGS in the early 1930's. He also corresponds regularly with George Gurnell of Sheffield. Mr. B.T. Thornalley (1945-1952) contacted the Briggensians with some sad news, he writes: " Sadly I have to report the death on 18th August 2003 of former pupil Geoffrey Metcalf at the relatively early age of 67 years. Known to all as Geoff, he lived at Great Limber during his Brigg Grammar School days - September 1947 to July 1952. He worked in Brigg at the National Provincial Bank for two years after which he completed his National Service in the R.A.F. Geoff spent most of the rest of his working life at Phillips Trawl Products/Cosalt International in Grimsby, retiring at age 60 as Office Manager in the Caravan Division." Brian Thornalley is hoping to come to the Annual Dinner in March 2004 to meet up with Peter Wade and friends and also to celebrate a special birthday. 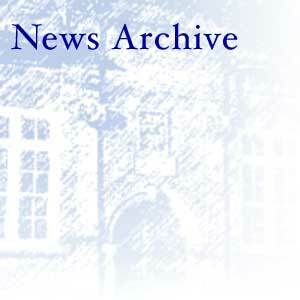 Older news is on the News Archive pages (earliest first): Archive 1 | Archive 2 | Archive 3.